If you live with the pain, burning, tingling, or other symptoms of neuropathy, you know how this condition can impact your ability to enjoy life. 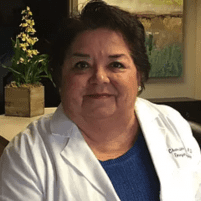 Dr. Yvonne Ortega, MD, FACEP, of St. Luke Integrative Medical Center in Huntsville, Alabama, is a leader in the field of treating neuropathy, using both traditional and the latest groundbreaking treatments to relieve neuropathic pain and symptoms. Call or schedule an appointment online for a consultation and find out how Dr. Ortega can help you return to a pain-free lifestyle. Neuropathy, or peripheral neuropathy, is a form of nerve damage in the extremities that causes weakness, numbness, and pain. It is most commonly a result of diabetes, but can also occur from chemotherapy treatment, HIV, a peripheral nerve injury, or nerve damage from shingles. Metabolic disorders, such as hypoglycemia or kidney failure, can result in neuropathy, as can many autoimmune disorders including lupus, celiac disease, and rheumatoid arthritis. Other culprits can include alcoholism, nutrient deficiencies, hormonal disorders, and hereditary conditions. Dr. Ortega is the leader in diabetic neuropathy treatment. She reduces symptoms of neuropathy using advanced noninvasive treatments, with no pain, no medications, and no surgery. She educates patients about lifestyle modifications and uses the most cutting-edge stem cell regenerative medicine at her beautiful state-of-the-art facility. After conducting a comprehensive evaluation of your condition, Dr. Ortega determines the most effective treatment plan for you. Stem cell therapy is a groundbreaking alternative approach to relieving neuropathy pain and symptoms. Stem cell regenerative medicine is completely safe since it uses your own body’s natural curative powers. You may feel results in a few weeks. Many of Dr. Ortega’s patients have experienced successful results from this treatment, for which she has become the leader in the field. Neuropathy can be a continuous source of pain and discomfort. Dr. Ortega uses all available treatments at St. Luke Integrative Medical Center in Huntsville, Alabama, to relieve neuropathy and help you live a pain-free life. Call or schedule an appointment online to learn about the latest advancements in regenerative stem cell therapy.